At Beaumont Court we want to make all of our residents feel like family so that they live in a place they can truly call home. We do this by using the philosophy that ‘feelings matter most’, developed by Dementia Care Matters and implemented when we became a ‘Butterfly Care Home’ in December 2018. 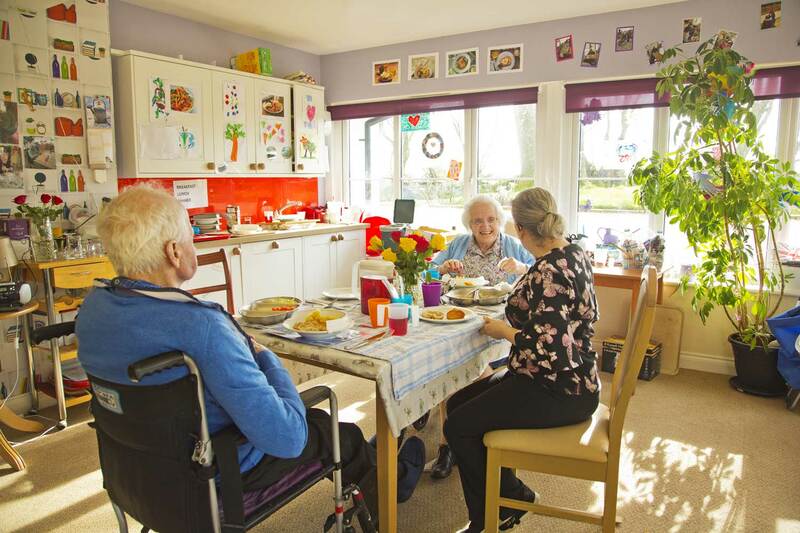 We have three separate households that all care for those according to where they are in their dementia journey. Our staff do not wear uniforms – there is no us and them – we eat, spend time with and conduct meaningful activity with our family members. Through this our relationships grow. We’ve created a family atmosphere where our staff can get to know each person like family members. As soon as someone joins us we begin to understand their past, what’s shaped them to be the person whom they are, and how dementia has affected this. With help from family and friends we can we can get to know them personally. By listening and sharing thoughts and emotions they will begin to feel like they belong and that they are loved, understood and safe. Once they feel comfortable, our family members can begin to express themselves – We encourage them to live their lives, in a way that works for them. They can eat good food – when and with whomever they want. They can have a chat and speak their mind, wander the gardens, or take up a meaningful activity – something chosen by them, or something that they are good at. We would love to hear from you if you would like to know more.